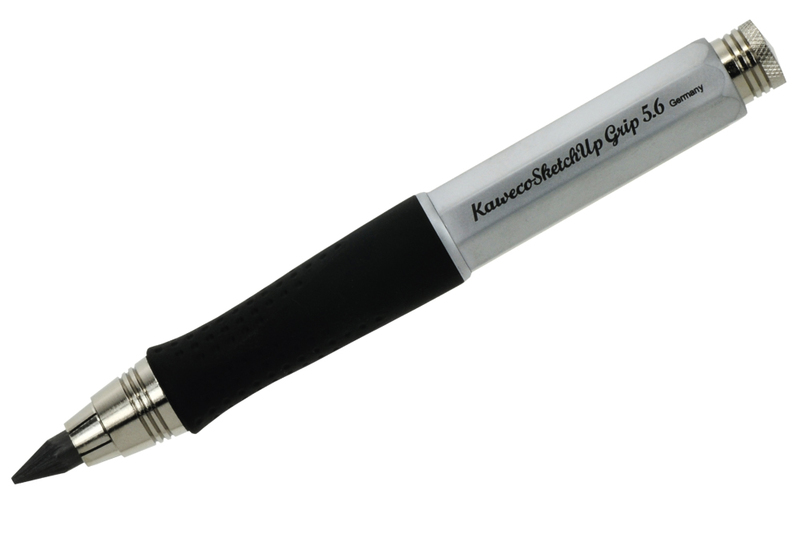 The Kaweco Sketch Up Series offers a 5.6mm lead clutch mechanism encased in a solid brass shell with Satin Chrome coating, chrome accents and rubber grip. Screw the back button off to reveal a nifty integrated sharpener. Perfect for sketching and drawing. 5.6mm Colour Leads also available. Sold separately. 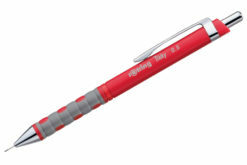 Twist pencils as well as mechanical pencils have always rounded off the Kaweco range. Apart from a variety of pens which were integrated in the various series, Kaweco also covered a range of so-called office pencils. 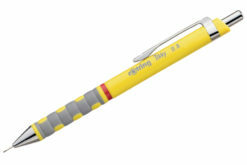 Nowadays, mechanical pencils and clutch pencils of this kind are mainly used for scribbling and drawing purposes. 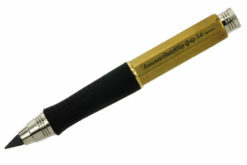 In this field, Kaweco offers a great choice of products. Spare leads for many purposes are completing the range.